Donations to food banks are lower in the summer months, but hunger does not take summer vacation. The need goes up when school is out. 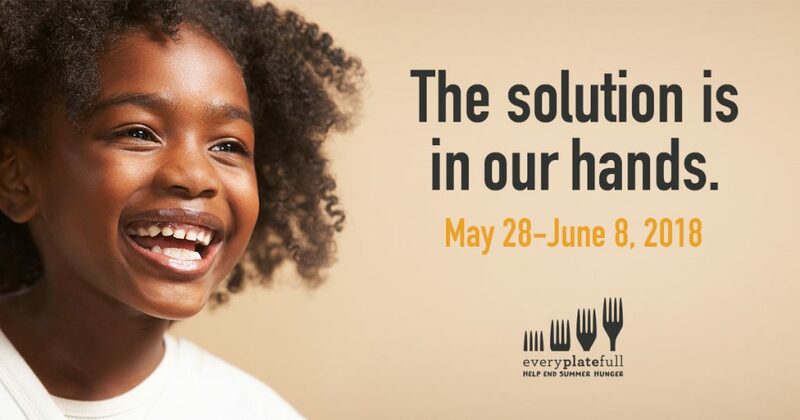 Every Plate Full is the largest national food and funds drive which helps to address this gap and ensure none of our neighbours go hungry this summer. Donations to Every Plate Full this year buys double the amount of food! This year, a generous local donor will match every dollar raised through Every Plate Full in Hamilton. That means that instead of $1 providing $5 in food, all pledges will provide $10 worth of food. Become a fundraiser and form a team or join one at work. Challenge each other to raise donations online. Remember the match means very $1 raised provides $10 in food. Get started at everyplatefull.ca. Organize a food and cash drive at your work. Sign up here to hold an Every Plate Full food drive.